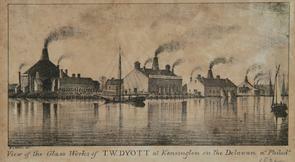 Caption: "View of the glass works of T.W. Dyott at Kensington on the Delaware n. Philad'a." View of factory from water.